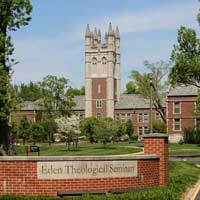 Webster University and Eden Theological Seminary's partnership with The OASIS Institute continues this summer with more high-level learning opportunities for adults age 50+ in the Webster Groves community. OASIS is a leader in adult continuing education and volunteer programs. Classes held on the Eden campus feature instructors from Eden, Webster and OASIS. Don Conway-Long, professor of Anthropology at Webster University, will discuss this on-going conflict. With the civil war in Syria just entering its sixth year, having facilitated the rise of the Islamic State as well as contributing to the refugee crisis now shaking the foundations of the EU, people may desire more information about how this dangerously volatile situation arose and what its implications may be. Dr. Conway-Long will review the roots of the Syrian crisis in the wider history and politics of the Middle East and Western Asia, with reference to other rebellions in the Arab and Muslim world, and to global political and religious struggles. When registering, look for class # Eden 404. Deborah Trott Pierce, director of the Confucius Institute at Webster University, will discuss the world's largest experiment in social engineering, revealing how its effects shaped China, how it will continue to do so for decades to come, and what it means for the rest of the world. When the Communist Party adopted the one-child policy in 1980, they wanted to curb birthrates and lift China's poorest out of dire poverty and increase China's global stature. We will explore the human impact and the cost of this radical policy. When registering at OASIS, refer to class number Eden 405. Other classes scheduled at Eden this summer include Eden President David Greenhaw on "Disturbing Short Stories" June 8 and 27, Eden faculty member Clint McCann on "The Psalms" on Aug. 18, and "Islam in America" on Sept. 13. Visit the OASIS site for registration and the entire catalog.